The heat wave or “dome of heat” afflicting Australia may produce a record temperature of over 122 degrees F. (over 50 degrees C.). 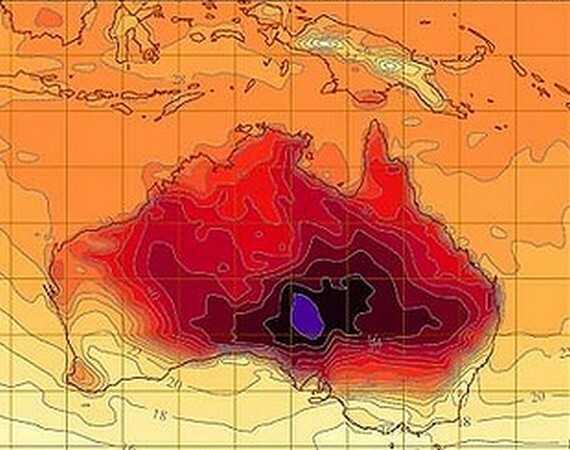 For temperatures above 122 F., Australian weathermen have developed a new color scheme, purple, which they hadn’t had to use before (the last record temperature in that range was just about 122 F. on one day in 1961). 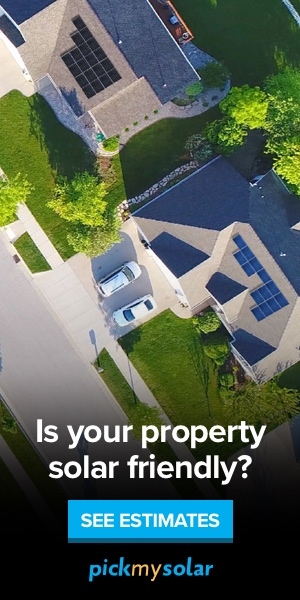 The average temperature across the country is unprecedentedly hot nowadays. Climate change is implicated in this disaster. Average temperatures have risen 1 degree Centigrade in the past century, and may rise by 5 degrees C. (9 degrees F.) by 2070, according to the Bureau of Meteorology. Nine of Australia’s 20 highest recorded temperatures in the past century have occurred since 2000. 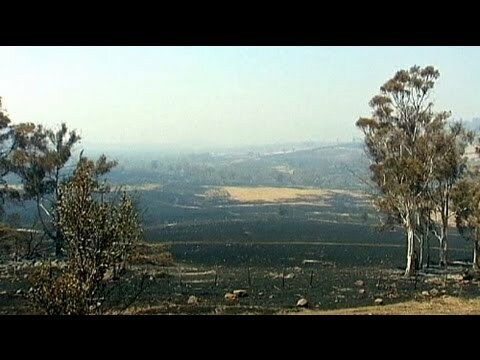 New Scientist notes that the most recent The Intergovernmental Panel on Climate Change report assesses that fire dangers will increase in southeast Australia by 25 percent by 2020 and by as much as 70 percent by 2050.